2010 2011 UPPER DECK Jeff Skinner AUTO YOUNG GUNS AUTOGRAPH RC ROOKIE BGS PSA 1? Just wondering if any of the Young Guns from series 2 are short prints? I see on Ebay that people are posting cards as SP but I Cant find the answer. Hope you can help. Mike (ID 41134) � All Young Guns are short prints – inserted at a rate of 1:4 packs. Each box should have 6. As far as I know, all the Young Guns from Series 2 are printed in equal numbers. Hi Ryan, thanks for the reply, I have certain rookies that seem so easy to get. I’ve got 8 of 1 type and only 1 of another and I’ve bought 3 cases. I’m really liking series 2 over 1. 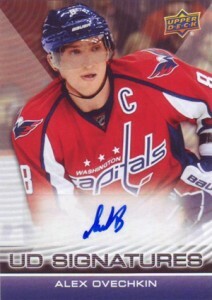 2011-12 Upper Deck Hockey Series 2 HOBBY Box Young Gun Auto Rookie Patch Jersey?